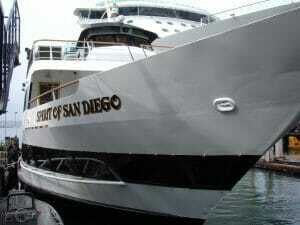 There are so many great cruises offered through San Diego’s Flagship Fleet, it’s hard to decide where we should start! San Diego Flagship cruises are the very definition of modern luxury, each ship within this locally owned and operated cruise line the ideal group venue. From the gorgeous weather, scenic skyline, and breathtakingly beautiful bay, it’s easy to see why these are some of the best cruises on the west coast. The entire company boasts the ‘finest fleet of high-end yachts’, as well as onboard gourmet food, award winning harbor tours, wildlife watch eco-cruises, water taxis and transportation, and of course, holiday spectaculars. This company has been around the area since 1915, as well, adding in that extra oomph of local specialty that many people desire during their tours. 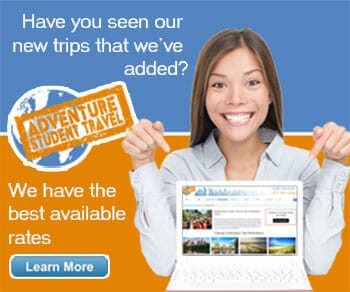 As mentioned before, there are several different cruise options, such as the popular Summer Fireworks Dinner Cruise, Summer Whale Watching Adventure, September Fleet Week Parade Cruise, Nightly Dinner Cruise, Patriot Jet Boat Thrill Ride, Hops on the Harbor (adults), San Diego Harbor Tour, Sunday Prime Rib, Thanksgiving Dinner Cruise, and Patriot Jet Boat Whale Watch. Many locals also love spending their holidays here, the Winter Holiday Parade of Lights Cruise amongst the most popular during that time. For student cruises, we highly suggest either the Nightly Dinner or San Diego Harbor tour, the first filled with dancing, dining, and sparkling San Diego Bay Views, the latter full of local history regarding fishing, ships, cruise services, transportation, and the city in general. If you are lucky enough to be visiting during the whale watching cruises peak times you will be able to enjoy the educated narration of a local Birch Aquarium Naturalist, providing you and your group with ample fun and entertainment, satisfaction and education!